Subject : Get a quote for Product lead "Automated Lollipop Production Line"
Lollipop candy depositing line is advanced equipment to produce lollipops. 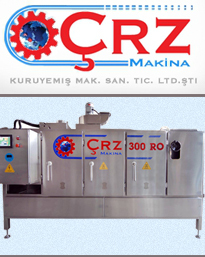 The operation is controlled by a PLC program for vacuum cooking, feeding and depositing. It can be in-line injection, dosing and pre-mixing for the proportional addition of liquid colours, flavours and acids. The line is composed of cookers, storage tank, micro film cooker, depositing, moulds and industrial cooling tunnel. It can produce colour striped, two colour layers, one colour and central filled lollipop. The line is a full automatic plant equipped with an automatic stick insertion system. Furthermore, the moulds can be changed to produce both hard confectionary or lollipops using the same depositing line.